Power Star Pawan Kalyan, Janasena Party chief, toured Bhimavaram in West Godavari district today, as part of the election campaign. He said that politics should not be linked to caste. He pledged to make Bhimavaram a nonviolent town. He said that he’s not a leader, but a servant of the people. 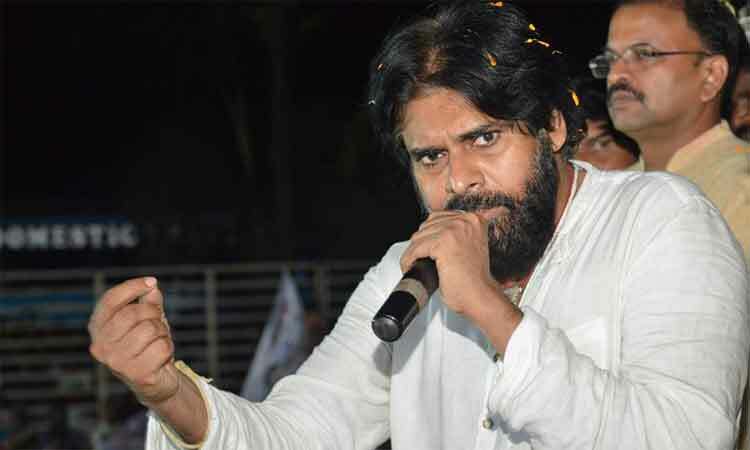 In the process of delighting people of Bhimavaram, Pawan Kalyan slipped his tongue and made controversial remarks. He said Andhra people are beaten in Telangana. “We, people of different caste and religious are fighting here in Bhimavaram. Andhra people who enter Telangana are getting beaten up there. For them, we are Andhra people, irrespective of our caste. I too got fed up with this,” affirmed Pawan Kalyan. Political analysts opine that, Pawan Kalyan should be cautious when addressing public meetings. In fact, his party is contesting for Lok Sabha elections in Telangana as well. It is known that, The Janasena chief is contesting for Bhimavaram and Gajuwaka assembly segments in Andhra Pradesh.